Dieudonne M'Bala M'Bala has 10 convictions of incitement - but a French Jewish leader is being indicted for calling him out on it. Roger Cukierman, who heads the CRIF organization, made the remarks earlier this month in an interview with Europe 1. On Monday, Cukierman announced the indictment himself on CRIF's website. “So I am being indicted for having stated on Europe 1 that Dieudonne is a professional anti-Semite. Isn’t that funny? For once, Dieudonne is actually comical,” Cukierman said. 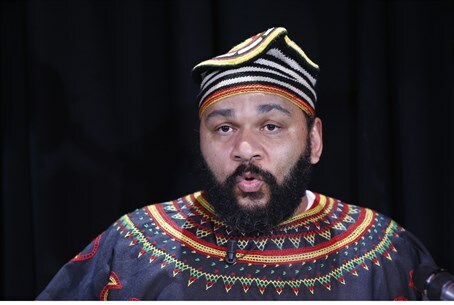 Dieudonne has been repeatedly fined for hate speech and several French towns have banned his shows as a threat to public order. Although he claims he is not anti-Semitic, public authorities say he owes more than 65,000 euros ($84,000) in fines related to past convictions related to anti-Semitic comments. CRIF added Monday that the comedian has 10 total convictions for inciting racial hatred against Jews. Dieudonne is also infamous for inventing the "quenelle" reverse Nazi salute - and for inventing the term “shoananas,” a mashup of the Hebrew word for the Holocaust and the French word for pineapple, which is used to suggest the genocide never happened while dodging France's anti-incitement laws. He is due to appear in a Paris appeals court in November for making an Internet appeal for donations to help pay his fines, which is forbidden under French law. He is also being pursued for faking bankruptcy and for money laundering.